This is part of a series of stories taking place in a space station. The other stories are 'The Spacemice Incident' and 'General Tso's Chicken'. The story is about a film company shooting part of a motion picture on the station, and a Shakespearian actor involved in the shoot. There's a lot of Shakespeare in this story—maybe too much. The title is taken from the 'This royal throne of kings' monologue in Richard II. 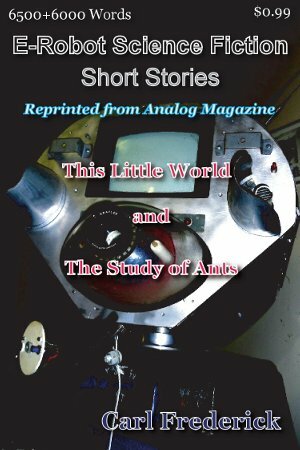 The story was first published in Analog SF magazine in 2005. Some biologists have suggested that a swarm of ants could well be considered a single organism. That notion is used in this story where a colony of leaf-cutter ants is trained to act as a computer. After writing the first draft, I found that leaf-cutters didn't have stingers (and the bad-guy in the story got stung a lot). I could have switched to another species of ant, but I'd already read a big book about leaf-cutters. So I rewrote the story. The story appeared in Analog SF magazine in 2003.